I just got an email from “Svenska Turistföreningen” (Swedish Tourist Association) who is starting a campaign that sounds like fun: The Swedish Number. Call the number above +46 771 793 336 (i.e. “+46 771 SWEDEN”) and you will be connected to a random Swede who, in turn, has signed up to answer on The Swedish Number. A fun initiative to let foreigners learn a little bit more about Sweden! 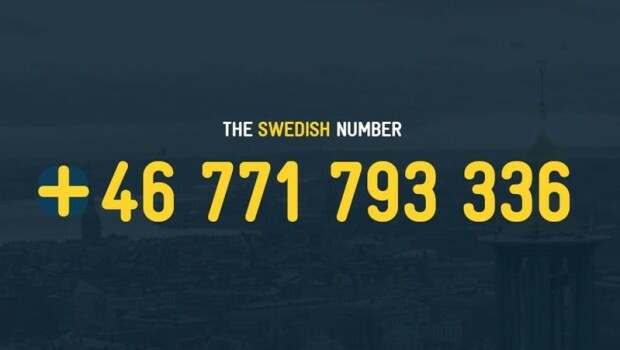 If you want to join, as a Swede, download the app “The Swedish Number” and follow the instructions. You can choose when you want to participate and answer etc. Read more at TheSwedishNumber.se.